The most common types of smoked fish in the U.S. are salmon, mackerel, whitefish, and trout. Although it's not on the top five list, tilapia still makes an excellent smoked fish. 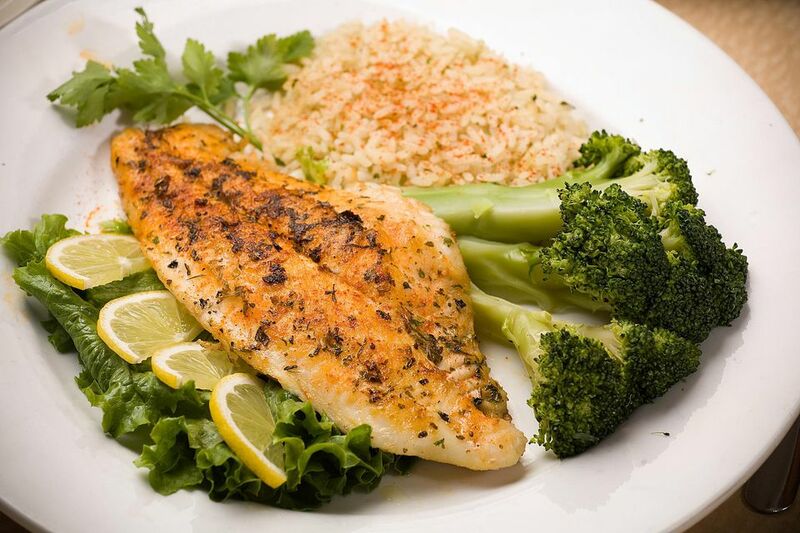 Tilapia is a low-fat, high-protein fish that is among the most affordable options fish in the U.S. Comparing tilapia to other meats, its overall fat profile is much better than many animal sources of protein which come with much higher amounts of saturated fat. For instance, chicken has twice as much saturated fat, and steak has 16 times as much. The act of smoking fish dates back to the days of preserving meat before there was refrigeration. The meat was cured by salting, drying, heating, and smoking it. Now, since it is no longer needed as a preservation method, smoking is primarily used to impart a woody, smoky flavor to food. Hot smoking requires the use of a smoker which generates heat either from a charcoal base or heated element within the smoker. The meat can be smoked from 1 hour to as long as 24 hours. Although foods that have been hot smoked are often reheated or further cooked, they are typically safe to eat without further cooking. Given that tilapia is meaty and quite versatile, it can be served alone or incorporated into other dishes, such as salads and dips or served with toast rounds with a zingy lemon-garlic aioli. Prepare smoker for a 2-hour smoke. Wash fish and remove all bones. Combine oil, lemon juice, garlic powder, salt, and lemon pepper in a small bowl. Brush liquid mixture onto both sides of the tilapia fillets. Place in the smoker for 1 1/2 to 2 hours. When finished, remove from heat and serve. The smoker exposes the meat to smoke from a heat source and burning wood. In the U.S. and Canada, hickory, mesquite, oak, pecan, alder, maple, and fruit-tree woods, such as apple, cherry, and plum, are the woods commonly used for smoking. When it comes to choosing the wood you want to use, there are recommendations of meat and wood combinations. For example, for heavier meats, like beef and pork, hardwood is recommended. For more delicate meats, like chicken and fish, a lighter hardwood like alder is suggested. Avoid using softwoods like pine and cedar. These woods are too resinous and can ruin the meat and your smoker. Hot smoking usually occurs within a lower heat range than an oven at temperatures ranging from 126 to 176 F (52 to 80 C). When food is smoked within this temperature range, foods are fully cooked, moist, and flavorful. If the smoker is allowed to get hotter than 185 °F (85 °C), the foods will shrink excessively, buckle, or even split. Smoking at high temperatures also reduces yield, as both moisture and fat are cooked away.